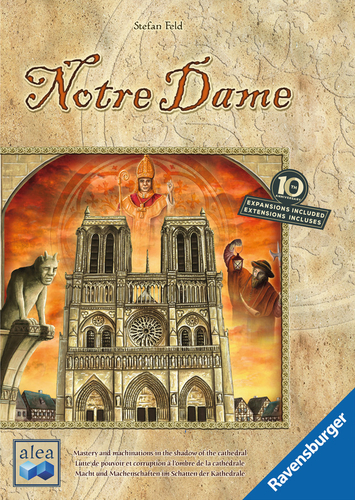 New in from Ravensburger is the 10th Anniversary Edition of Notre Dame, a Stefan Feld board game. Paris, at the end of the 14th century. 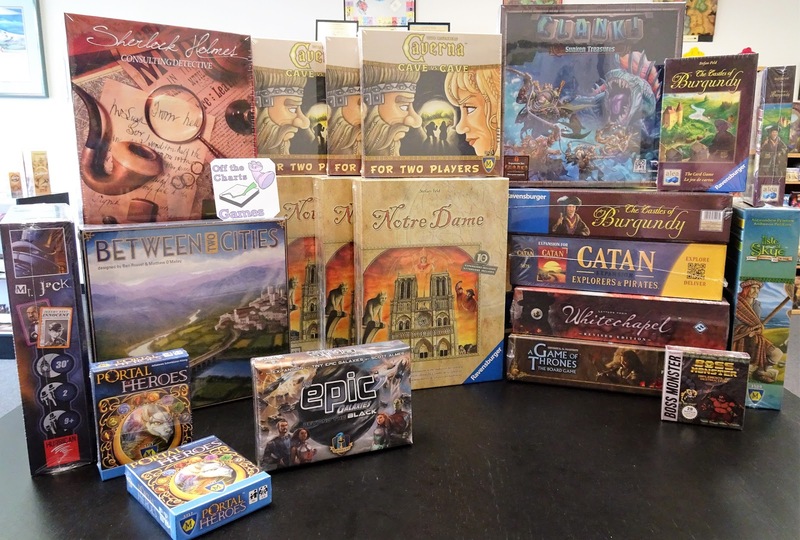 In the shadows of the grand cathedral of Notre Dame you fight for power over the city. Through strategic planning, you must influence the different sectors of the city in order to gain money, prestige and control. 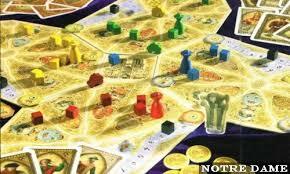 Be careful to avoid the dreaded plague, and use your cunning sensibilities to bribe people on your way to the top. We have an open copy of Notre Dame available for you to come in and try out.